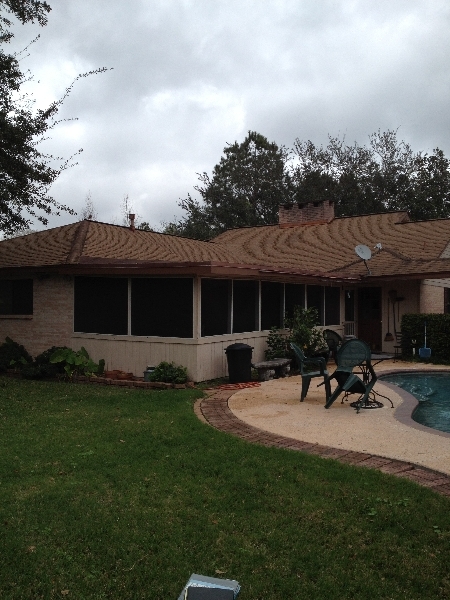 Mr. and Mrs. Selemon lived with an old screen room with a leaky, flat roof that was built too-low for years. 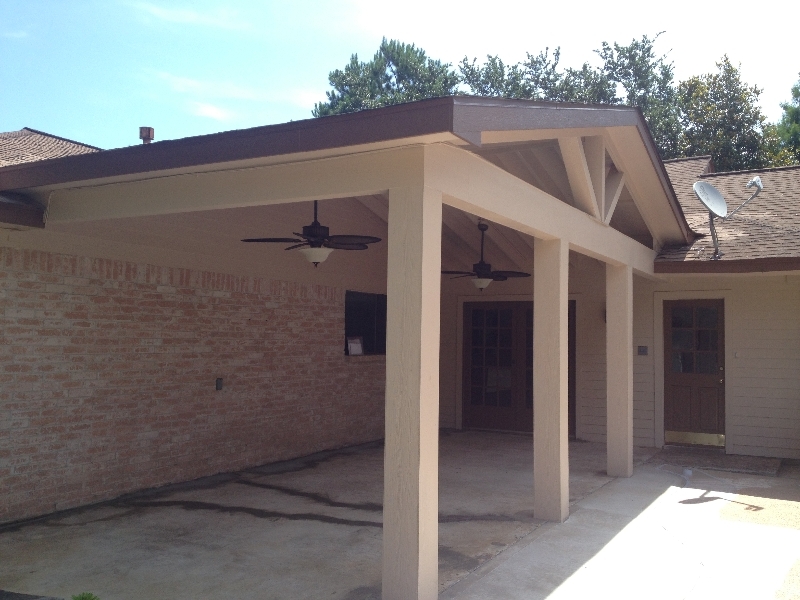 They finally decided to upgrade and hired Texas Patio Builders to build a custom wood-framed patio cover. They picked the gable design with our exposed rafter look. 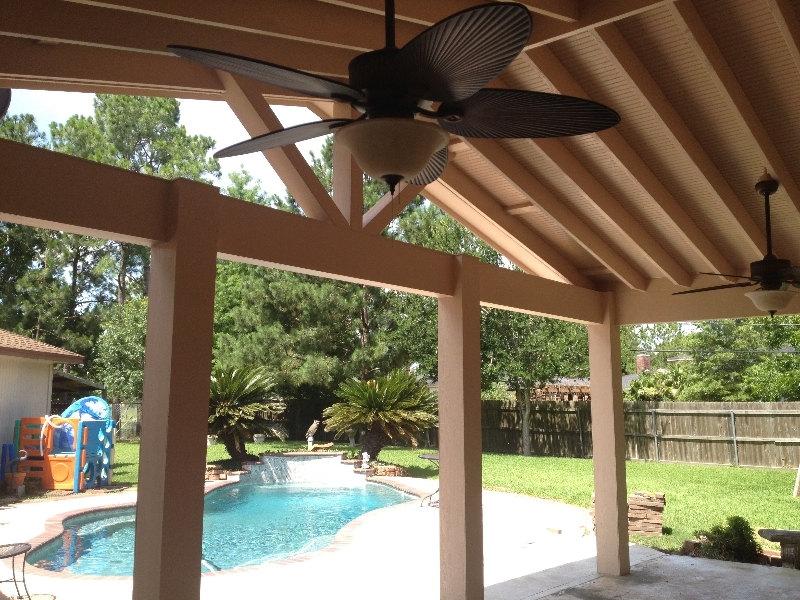 The project came out beautifully and Mrs. Selemon even exclaimed “Its absolutely majestic!” The structure was engineered according to Texas Windstorm requirements and permitted through the city of Pearland. 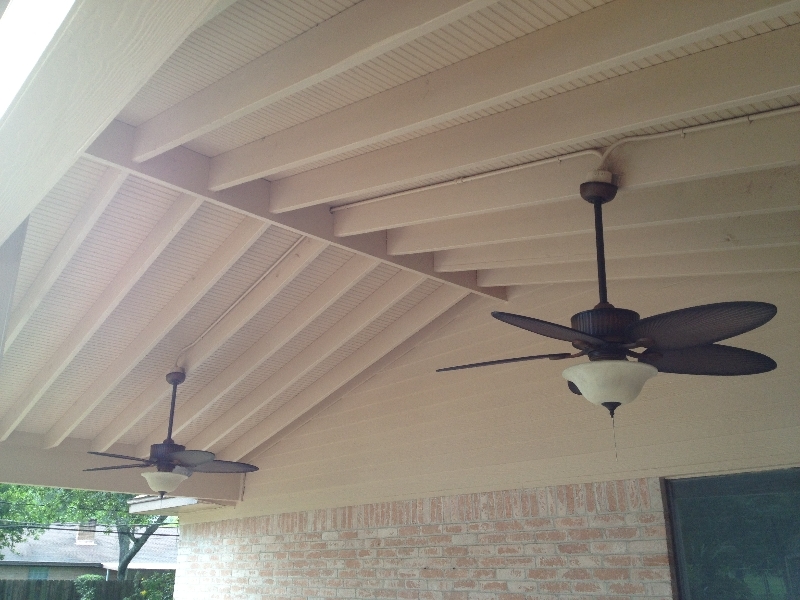 The beams are triple 2″ x 12s” – no sagging over time with this structure!